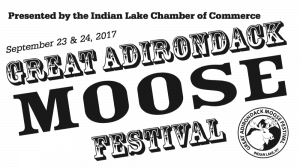 View, a multi-arts center located in Old Forge, has announced the opening of Myths & Legends of the Adirondacks Vol. 2. The exhibit will run through March 17, 2018. This is the second volume of an ongoing exhibition series that explores the myths and legends of Upstate New York. Volume 2 features new work by Suzanne Firsching, John Golden, and Doug Jamieson. This exhibition will also include new works from artists participating in Myths & Legends of the Adirondacks Vol. 1, Stephen Fletcher, Greg Klein and Peter Seward. » Continue Reading. Thirty-five different films, eight special guests, and a 72-hour cell phone film contest just scratches the surface of the 4th annual Lake Champlain International Film Festival (LCIFF). 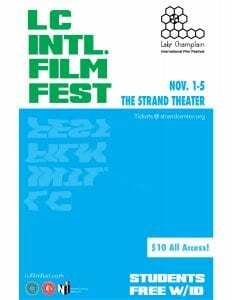 Housed in the Strand Center Theatre in downtown Plattsburgh, the film festival will continue to draw an international crowd through Sunday, November 5th. » Continue Reading. 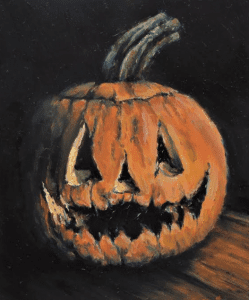 Gem Radio Theatre will present “Horrors You Can Hear” on Friday, October 27 at 7 pm at Tannery Pond Community Center in North Creek and Saturday, October 28 at 7 pm at Indian Lake Theater in Indian Lake. The theatre group will reimagine three classic radio thrillers from favorites such as “Lights Out” and “Quiet Please” not just as a live performance in true-old radio style, but as a shadow play, believed the first presentation of its kind in the Adirondack region. » Continue Reading. Chilson Volunteer Fire Department will mark National Fire Prevention Week this year with a pancake breakfast on Saturday, October 14 from 8 am to 10 am at the department’s Chilson Community House at 60 Putts Pond Road. Drop in to enjoy Larry Lauman’s famous apple pancakes, with sides of bacon and sausage – and plenty of coffee, of course. 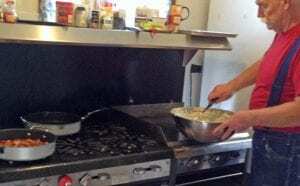 Breakfast is free to Chilson and Ticonderoga neighbors and friends (although donations will be gratefully accepted). For Chilson Fire District residents, the department will offer free smoke alarms and free smoke-alarm batteries. » Continue Reading. The 2017-18 sliding season is officially underway at the Mt. Van Hoevenberg combined bobsled, luge and skeleton track in Lake Placid. 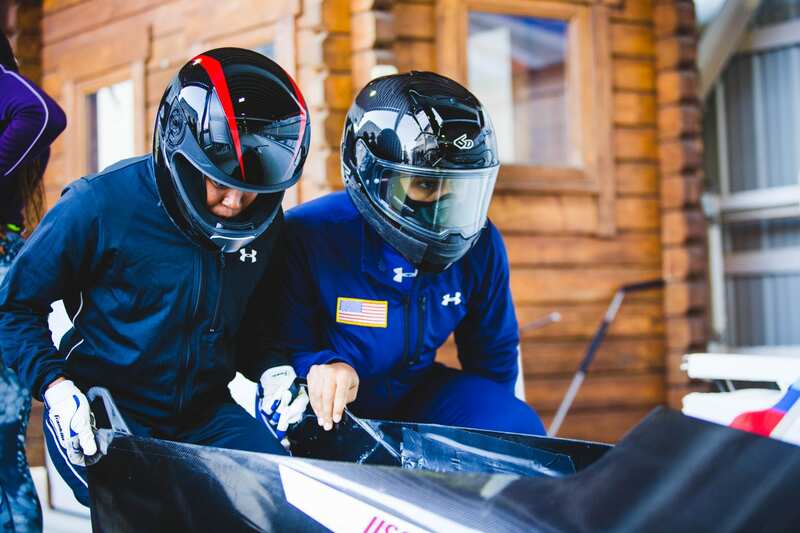 The American women’s bobsled team of Elana Meyers Taylor and Lake Kwaza kicked the season off last week as the first sled down the mile long track. The U.S. skeleton team begins training, Tuesday, Oct. 10, and U.S. luge junior national team athletes jump on the track for the first time this season, Tuesday, Oct. 16. They’re followed by the senior national team, Oct. 21. » Continue Reading. The Adirondack Lakes Center for the Arts will present 1984 by George Orwell, adapted for the stage by Michael Gene Sullivan. Pendragon Theatre will be presenting this stage adaptation at the Arts Center on Saturday, October 14 at 7:30 pm. The adaptation, by Michael Gene Sullivan, based on the iconic novel by George Orwell, tells the story of Winston Smith, a cog in the giant machine state of Oceania. Physically and mentally under the omnipresent eye of Big Brother, Winston has been caught struggling for scraps of love and freedom in a world awash with distrust and violence. With the brutal “help” of four Party Members, Winston is forced to confess his Thoughtcrimes before an unseen inquisitor, and the audience – which acts as a silent witness to his torture. This adaptation is not the version currently on Broadway which has been gathering much attention due to torture scenes causing unpleasant physical reactions from audiences. » Continue Reading. 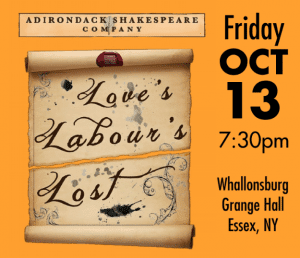 On Friday, Oct. 13, the Adirondack Shakespeare Company will present a production of Love’s Labour’s Lost. ADK Shakes, founded by Artistic Director Tara Bradway and Executive Director Patrick Siler, was formed in May of 2008, and is a not-for-profit theater company serving the Adirondack Region. In this early Shakespeare comedy, the King of Navarre and all his gentlemen have dedicated themselves to study for three years, swearing not to get distracted by so much as talking with a woman. Naturally, that’s just the moment that the Princess of France and her train of ladies arrive on a diplomatic mission. Packed with clowns, pranks, and pageants, Shakespeare’s delightful “feast of languages” explores the enduring trials of friendship, courtship, and love. » Continue Reading. When Vincent van Gogh met Henri de Toulouse-Lautrec in Paris in 1886, the friends defied convention, challenging the established definition of art. Their idiosyncratic focus on line and color will be displayed in Deux Enfants Terribles, an exhibition from the permanent collection in the Rotunda Gallery at The Hyde Collection. The exhibition includes van Gogh’s Orchard with Arles in the Background, The Hyde’s only work by the Dutch artist. 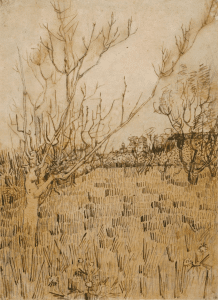 Van Gogh employed a variety of pen strokes to imbue the scene with a sense of spring’s arrival in a dormant Mediterranean fruit orchard. A few dots from a reed pen indicate the first appearance of buds. Below, the grass, rendered in short vertical strokes begins to grow again; pinwheel strokes denote the flowering of dandelions. » Continue Reading. 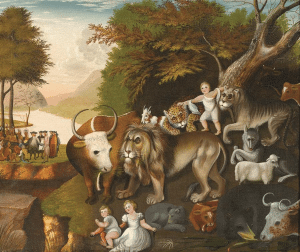 The Hyde Collection in Glens Falls has announced they will open a new exhibition on American Folk art, titled A Shared Legacy: Folk Art in America on Sunday, October 8. The exhibition comprises more than sixty works made between 1800 and 1925, from the collection of Barbara L. Gordon. This exhibition will be on view in Charles R. Wood, Hoopes, and Whitney-Renz galleries. The exhibit will run through Sunday, December 31. A Shared Legacy celebrates art rooted in personal and cultural identity, made by artists who were either self-taught or had received minimal formal training. Created for ordinary people rather than society’s upper classes, folk art was the prevalent art form in the United States for more than a century. » Continue Reading. Warrensburg Chamber Administrator and Event Coordinator Suzanne Tyler starts working on organizing the next year’s World’s Largest Garage Sale even before this year’s event has been completed. 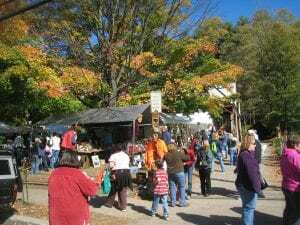 She works all year long planning and filling the streets of Warrensburg with over 500 vendors ready to present their wares to all treasure seekers. Tyler mixes up vendors so they’re not all in the same location for the September 30 – October 1 event. People searching the Warrensburg streets can get a diverse opportunity in a smaller location or investigate all the various booths in search of that special find. » Continue Reading. 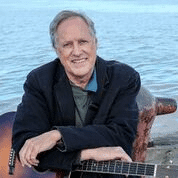 Tannery Pond Center in North Creek will host musician, entertainer, singer-songwriter and story teller Tom Chapin on October 1st at 3 pm. Chapin has maintained two long and productive parallel careers as both a contemporary folk artist and in the field of children’s music. In addition to his musical and media endeavors, Chapin is an advocate on behalf of a variety of charitable organizations. He has been a board member of WhyHunger since it was established in 1975, and continues his involvement to this day, and remains active in a variety of environmental causes, as well as efforts on behalf of music and the arts in public schools. » Continue Reading. 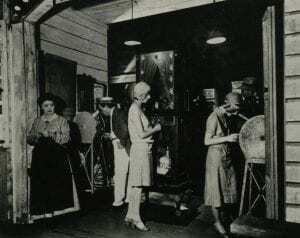 On Thursday, September 28 at 7 pm, Barbara Tepa Lupack will present a talk on women in silent movies as part of Historic Saranac Lake’s History Matters Speaker Series. Lupack will present clips from silent films of the 1910s and 1920s and discuss the roles of women in those films and in a changing society. » Continue Reading. The Village of Saranac Lake has engaged AMS Planning & Research, a national arts management consulting firm, to work with a committee of village arts, education, government, and business representatives to develop an Arts and Culture Master Plan, with funding from NY State Council on the Arts. 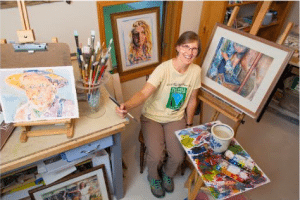 The result of this effort is expected to be the creation of a plan that will serve the community, as well as area visitors, through solutions designed to address the Village of Saranac Lake’s specific arts and cultural goals. Community input is important to understanding priorities and support for a variety of categories of arts and cultural activities encompassing church choirs to watercolor painting to HoboFest to quilting to Story Slams to bands and orchestras, for youth through seniors, and more. » Continue Reading. TAUNY, Traditional Arts in Upstate New York, has announced the three recipients for this year’s North Country Heritage Awards: Loretta Lepkowski of Tug Hill (Evergreen Award Recipient), Bill MacKentley of Potsdam (Inherited Traditions Award Recipient), and The Paddock Arcade in Watertown (Very Special Place Award Recipient). These individuals and the site will be recognized and honored for their contributions to their communities and North Country traditions at this year’s Salute to North Country Heritage, TAUNY’s annual public reception, on October 22 from 2 to 4 pm at The TAUNY Center. TAUNY’s North Country Heritage Awards recognize individuals, families, and community groups who demonstrate evidence of traditionality, mastery, and creative commitment to their art form over time, and a commitment to their community and the teaching of others. They also recognize sites in North Country that are special to the life of those communities, have served multiple generations over time, are community gathering places, meet a community’s social, spiritual, economic, or entertainment needs, and are a factor in community or regional identity. 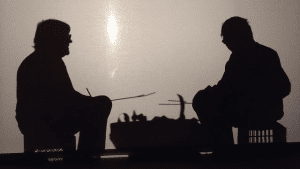 The program was established by TAUNY founder and folklorist Varick Chittenden in 1993 and will be celebrating its 25th anniversary in 2018 with a series of programs and special events centered around the Heritage Awards and its recipients. » Continue Reading.